As Jesus and the disciples left, the disciples pointed out the temple buildings to Him. His response no doubt greatly startled them: “”Do you not see all these things? Assuredly, I say to you, not one stone shall be left here upon another, that shall not be thrown down” (Matt. 24:2). 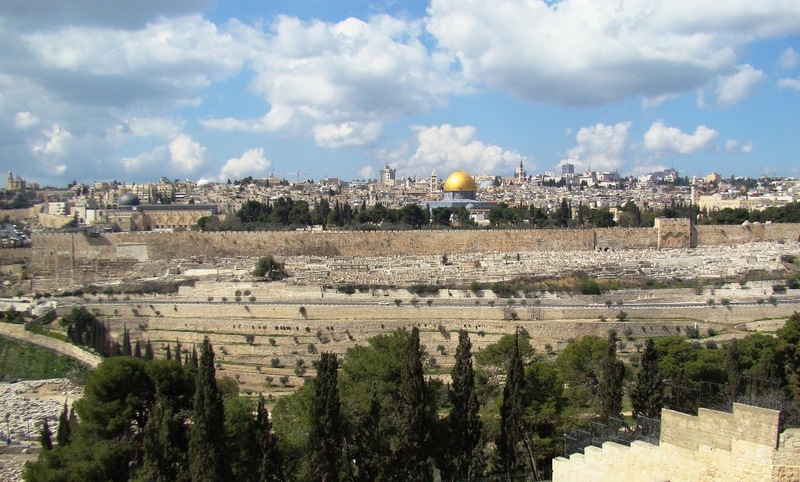 Jesus crossed the Kidron Valley and came to the Mount of Olives and sat down. It was here that the “Olivet Discourse” occurred, in which the disciples asked Him to explain what He meant. View of Temple Mount, Jerusalem from Mt. of Olives. Photo by Leon Mauldin. From the Mount of Olives the disciples could have seen the temple area in Jerusalem as Jesus’ foretold its coming destruction. 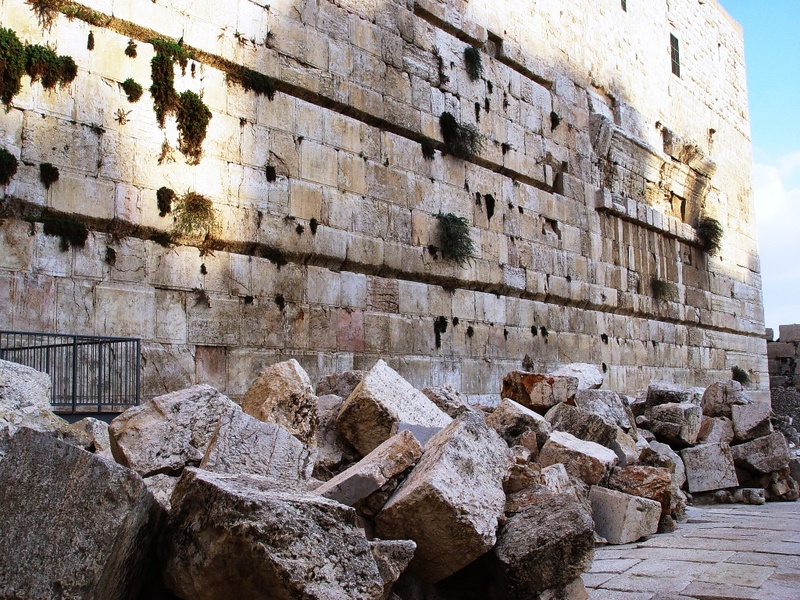 Excavations which reached 1st century street level uncovered stones of the temple buildings hurled down from above. The destruction took place in AD 70, by Rome’s Tenth Legion. Stones from temple buildings in Tyropoeon Valley in Jerusalem, from AD 70 destruction. Photo by Leon Mauldin. This entry was posted on Monday, August 22nd, 2011 at 10:53 PM and is filed under Bible History and Geography, Bible Study, Israel, Jerusalem, New Testament. You can follow any responses to this entry through the RSS 2.0 feed. You can leave a response, or trackback from your own site. Those stones were so huge! They show up well in this picture.